Happy Holy Saturday! 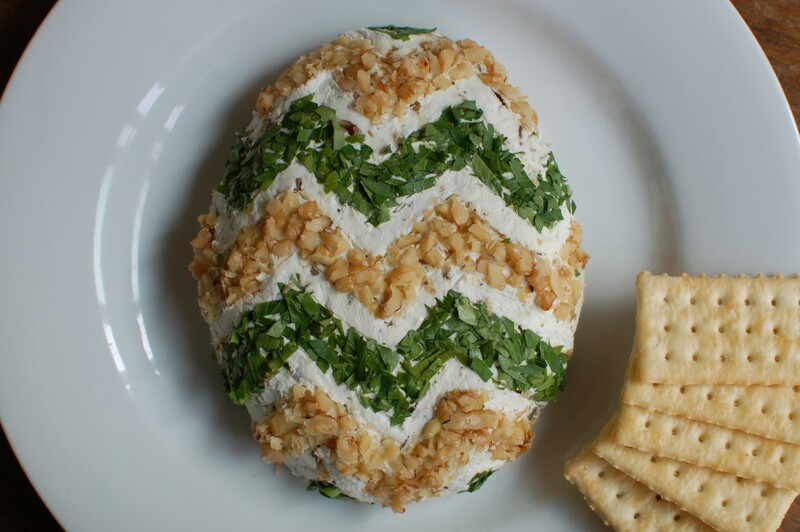 Here’s a bit of last minute Easter inspiration: an egg-shaped appetizer! 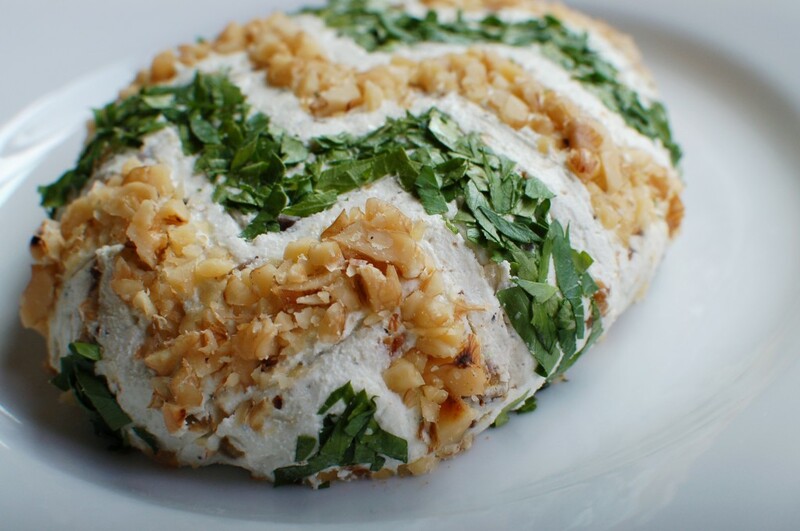 I made a date and blue cheese ball from epicurious (with double the dates). After refrigerating the ball, I formed it into an egg shape. Instead of rolling the ball in the walnuts and parsley, I used a skewer as a pencil and drew chevrons on the surface. 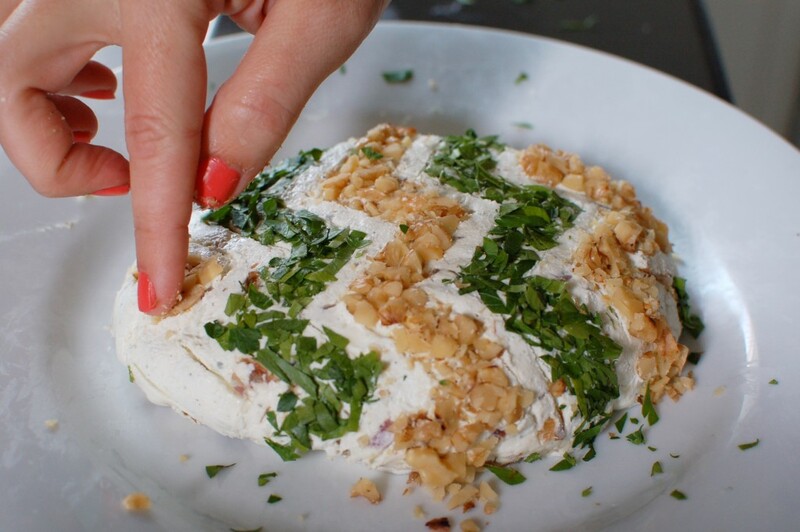 I then carefully pressed the walnuts and parsley into the cheese. 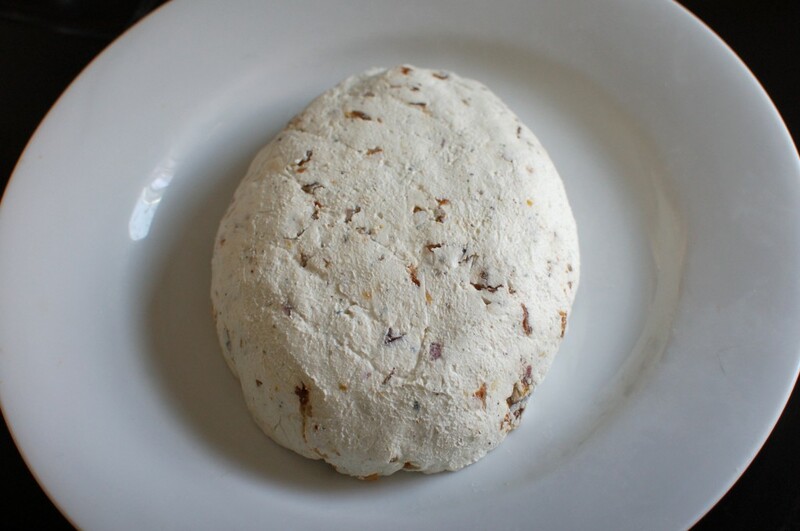 The cheese ball, in whatever shape, can be made two days ahead of time (woohoo!). Serve with crackers or, like I’ll be doing tomorrow, toasted bread!